Home Announcements Financial Services Event Roundup: GDPR & PSD2 Regulations Webinar Panel, Microsoft Cloud Workshop Be the first to comment. In a world where technology seems to change faster than we can keep up, and where regulations impact how we use it, keeping abreast of the latest industry trends is critical. As a leader in offering end-to-end Dynamics 365 solutions for the financial services industry, we are committed to giving you the information you need to make smart business decisions. Join us for two upcoming events and keep ahead of pressing issues in financial services. Join industry leaders from One Connected Community, Civilised Bank, OakNorth, Metro Bank, Nordea & Nationwide as they discuss industry regulations and how they impact businesses in the financial sector. Specifically, webinar panelists will discuss The General Data Protection Regulation (GDPR) and the Payment Services Directive 2 (PSD2), two regulations designed to create trust between financial institutions and the people they serve. 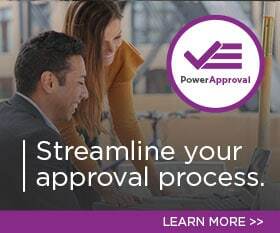 Industry experts from PowerObjects and Microsoft will also be on the webinar to talk about how platforms such as Dynamics 365 can provide the foundation for strong customer relationships, while adhering to regulatory standards. Topics will range from how data sharing impacts new business models, how open banking impacts customers, and how to handle data protection when third parties have more access to customer data than ever. Join PowerObjects and Microsoft for an in-person workshop to explore how innovative omni-channel approaches to customer care can help you retain existing customers and acquire new ones. Discover how Microsoft Cloud technologies including Dynamics 365, Azure, Business Intelligence, and analytics can help your organisation secure customer retention. Topics will include financial services industry trends, using segmentation to help you foster exceptional customer service, and how the Microsoft Stack can power high-performance customer service. This free event includes coffee, lunch, and networking with other industry leaders. by Joe D365	September 27, 2017 Be the first to comment.